The Ant & Mike Show - "We Do More Than Gossip": Bad Boys! Man all my old school folks is passing. 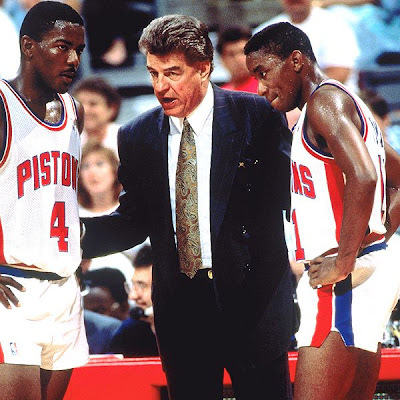 RIP to the big Detroit homie, former pistons coach Chuck Daly. Daly led the Bad Boy Pistons to back-to-back championships in 1989 & 1990, and he was also the head coach of the original dream team, which won gold in the Barcelona Olympics. Two years later, he was inducted into the Basketball Hall of Fame. I was shocked when I heard the news. Dennis Rodman said on the celebrity apprentice that this was a said day for him because Daly was like family!